USD 12.57 billion (2017 – WTO). USD 619 (Nominal) – (WTO figures for 2015-17). 19.19 million; Male – 9.57 mn; Female-9.62 mn (2017- UN). French. Major local dialects are More, Dioula, Gurma, Fulfulde, Tamasheq etc. 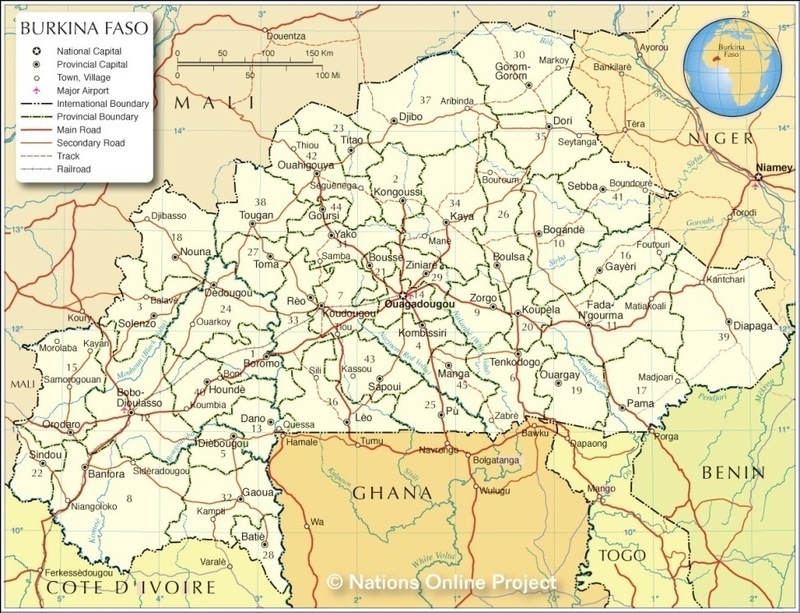 Ivory Coast, France, Switzerland, Belgium, Ghana, China, Togo, India, Turkey [According to EIU Country Report, 65% of all exports from Burkina Faso go to Switzerland]. The Indian community in Burkina Faso is around 300, majority holding Indian passports.